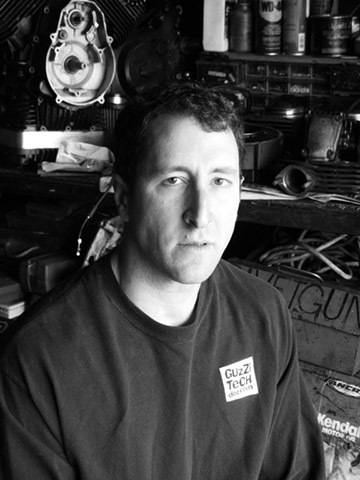 Ed Milich is a contributor to Motorcyclist Magazine and Keith Martin's Sports Car Market Magazine, the Moto Guzzi National Owners Club Magazine and the American Historic Racing Motorcycle Association Magazine as well as proprietor of popular motorcycle websites Guzzitech.com, Bimotacagiva.com, Motobastard.com, and his blog, La Vida Meccanica. He is also a championship winning motorcycle roadracer with Willow Springs Motorcycle Club and the American Historic Racing Motorcycle Association. 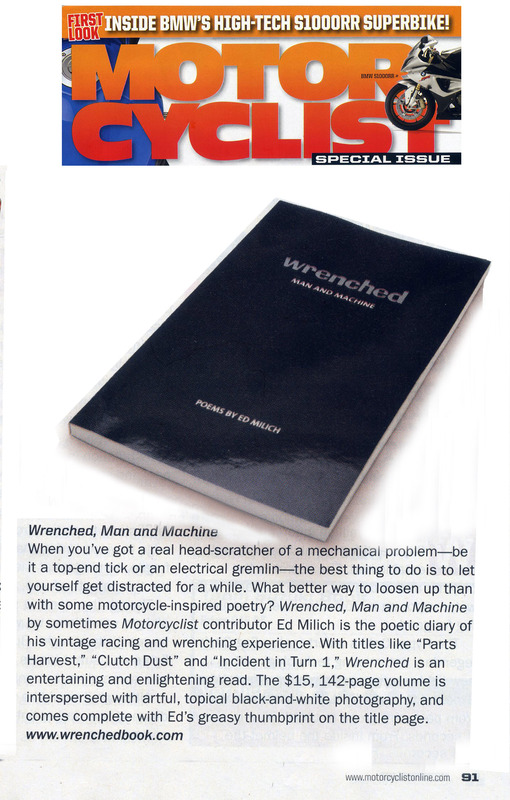 Milich's newly released first book, Wrenched, documents his racing and wrenching experiences in poetic form, largely utilizing unrhymed free verse and plain, unadorned prose.